This case relates to a dispute between Australian Native Landscapes Pty Ltd (ANL) and Lake Macquarie Council (the Council). ANL conducts a large commercial composting business. In the course of conducting this business, ANL were subject to allegations from the Council that they had engaged in unlawful action in several aspects of their business, such as: land use which went beyond development consents granted by the Council, and unlawful clearing of vegetation. In the course of the initial hearing, the Council tendered expert evidence from the Council’s Senior Development Planner, Mr David Lovell (Lovell), who prepared affidavit evidence and prepared a joint report with ANL’s planning expert. Lovell was also closely involved in retaining and instructing other expert witnesses for the Council. ANL took issue with the level of bias involved in the provision of instructions by Lovell to the Council experts. (1) An expert witness has an overriding duty to assist the court impartially on matters relevant to the expert witness’s area of expertise. (2) An expert witness’s paramount duty is to the court and not to any party to the proceedings (including the person retaining the expert witness). (1) Except as otherwise provided by this Act, evidence that is relevant in a proceeding is admissible in the proceeding. It is relevant to note that ANL did not make an application for the rejection of the evidence under s135(a), however, this provision is relevant for the analysis of the legal principles on this issue. Biscoe J first considered the case of Pittwater Council v A1 Professional Recycling Pty Ltd , where the expert witness in question was an investigator employed by the council to carry out the investigation which was the subject of the trial and also recommended the prosecution of A1 Professional Recycling Pty Ltd. It was held that “a mere family personal or business relationship”, even if the relationship is of a kind that might reasonably result in an expectation of bias, is insufficient by itself to lead to a rejection of expert evidence. It was also held that while there may be “additional factors which justify rejection on the ground of clear lack of capacity to bring the requisite degree of impartiality to the expert’s reasons”, the following factors are insufficient, of themselves, to result in the rejection of an expert’s evidence. Expert witnesses who have recommended those proceedings be taken. Similarly, in Sydney South West Area Health Service v Stamoulis it was held that expert evidence is not inadmissible simply because of the expert: is materially interested in the litigation, is a party to the litigation, or is an employee of a party to the litigation. Whether such witnesses provide exculpatory and unreliable evidence is an issue of weight, not admissibility, and such weight could be tested under cross examination. It was also held that to find the evidence unfairly prejudicial under section 135 of the Evidence Act 1995 would be a material error of legal principle, as this would fail to take into account the unfairness to the party calling the experts that would arise from preventing such evidence to be utilised to explain and defend their position. The notion that lack of independence in an expert witness does not speak to admissibility but rather is relevant when considering the weight to be attached to the expert’s testimony was affirmed in Kulikovsky v Police and Ananda Marga Pracaraka Samgha Ltd v Tomar (No 4). In the latter case, it was noted that “lack of objectivity combined with other circumstances” may in some cases justify the exclusion of the expert’s evidence under s 135 of the Evidence Act. The court in ANL accepted that Mr Lovell’s employment by the council, when considered in isolation, was insufficient to render his expert evidence inadmissible. The opposition attempted to argue that his failure to fully inform the experts he was directing and misleading of them in regards to key issues rendered his evidence inadmissible. On the facts, Biscoe J found this not to be the case, and as a result, ANL’s application to have Lovell’s evidence excluded failed. This case serves as an important lesson for counsel utilising expert witnesses who could be argued to be biased and counsel opposing expert witnesses whom they suspect to be biased. For counsel who intend to utilise expert witnesses who may fall within the scope of a biased witness it is important to note that while such evidence is admissible, it may come under scrutiny during cross-examination thus reducing the weight of the evidence in the eyes of the jury. Where possible the use of an impartial witness (i.e. with no former ties to the party whether that be professionally or personally) overcomes this issue however where the use of a biased witness is unavoidable, appropriate preparations should be made for the likely attacks on the credibility of the witness. 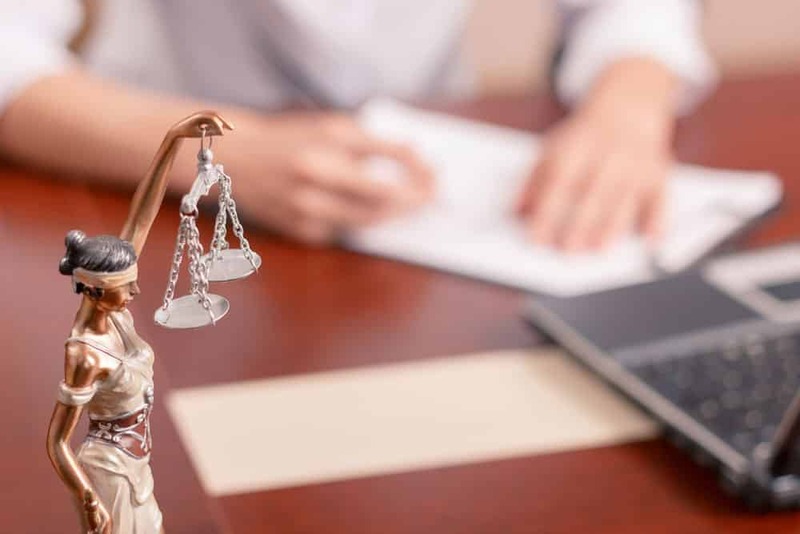 Alternatively, legal counsel who faces biased expert witnesses should ensure that the witness is thoroughly questioned during cross-examination to ensure the jury is aware of the potential bias and interest the expert has in the case. While their evidence is not inadmissible due to such interest alone, the weight and value of the evidence can be heavily reduced through targeted questioning on such issues.